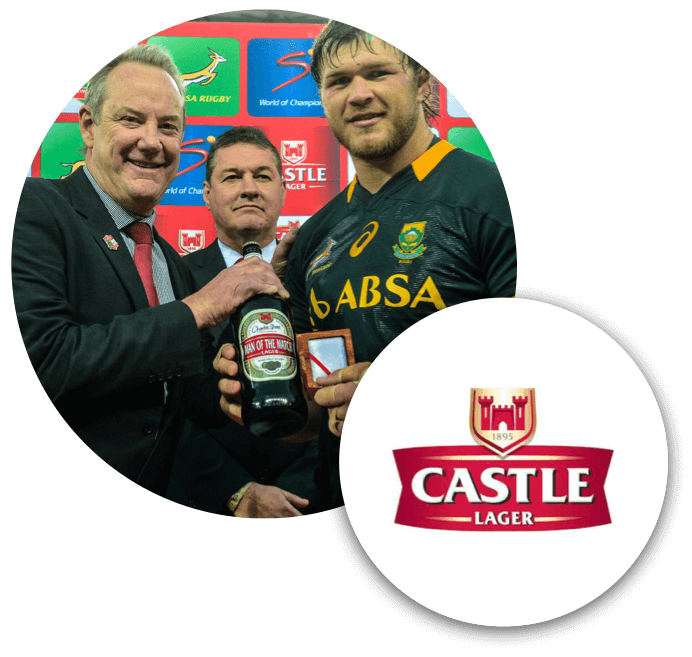 Castle Lager supported SA Rugby‘s Back the Boks Campaign for the Rugby World Cup in 2015. Launch and promote Castle Lager’s “Back the Boks” campaign for the 2015 Rugby World Cup. Through unique social media videos with Schalk Burger and media partnerships, we galvanised fan involvement, drove product purchase and selected fans to be represented on the back of the Springbok’s World Cup jerseys.